As Channing Tatum and Jonah Hill reprise their roles as undercover narcotics officers Jenko and Schmidt, audiences are hopeful that 22 Jump Street will be as cameo-filled as its big-screen predecessor. But the cheesy late-1980s television series that inspired it all was no slouch in the cameo department, either; the only difference being that some of their guest “stars” appeared on the show before they were stars at all. Here are 19 of them. Josh Brolin wasn’t exactly a newcomer when he played the unfortunately named Taylor Rolator in the first season of 21 Jump Street—he’d made his acting debut with Goonies and also starred in Thrashin’—but he was hardly a household name. Which allowed him to play the preppy slimeball to perfection. Six years before she added the “Smith,” Jada Pinkett played a girl gangster with a heart in the series’ penultimate episode. Vince Vaughn is barely recognizable as a high schooler dealing with the murder of one of his teachers. That’s him in the burgundy mock-neck at 4:58. Grieving alongside him is Robyn Lively, just a few months after she made pop culture history as Louise Miller in Teen Witch. The official star of this Vaughn-Lively episode is Donovan Leitch, but the real star is the gigantic box of Teenage Mutant Ninja Turtles cereal he can be seen chowing down on in the episode’s opening sequence. Her last name may have been famous, but Bridget Fonda was not yet a star when she nabbed the role of Molly “Moho” Chapman, a homeless hustler, in the series’ third season. Thomas Haden Church has made a career—and earned an Oscar nomination—for playing likable (if not always bright) guys like Lowell Mather on Wings and Jack Cole in Sideways. But one of his earliest parts, and his first appearance on a television series, came in a 1989 episode of 21 Jump Street, as the trusty assistant to a drug dealer (catch him—and his unfortunate long hair—2:06 minutes in). The man who would be Brandon Walsh must have dug the vibe on Jump Street—and vice versa—as he made two appearances, as two different characters, in the first two seasons. The latter appearance featured a 1987-approved mullet (see it for yourself at the 4:27 mark). Not to be outdone by her fictional twin brother, Shannen Doherty also did the 21 Jump Street thing, though not until the show’s fourth season. And yet again, she’s playing an annoying sister (in this case, to Keith Coogan, a familiar character actor with more than 70 credits on his filmography). Before he stepped behind the camera to write, direct, and produce projects like Friday Night Lights, Battleship, and The Leftovers, Peter Berg made his living as an actor—a career that began as a smartass teen with a penchant for varsity jackets in 21 Jump Street’s second season. Blair Underwood is typically known for playing good guys. But that wasn’t the case in this 1987 episode, “Gotta Finish the Riff,” from the series’ first season. The episode premiered just a few months before Underwood joined the cast of L.A. Law as Jonathan Rollins, a fresh-faced Harvard grad who held the distinction of being the first African-American president of the Harvard Law Review. While rumors have long swirled that Rollins was based on Barack Obama, who really was its first black president, that simply is a rumor. Obama wasn’t even a Harvard Law student until 1988, a year after Underwood joined the cast (though he did meet Obama a few years later, when some of the show’s cast and producers met with a group of Harvard law students). A year after dancing her way through the credits of Spike Lee’s Do the Right Thing, Rosie Perez made her television debut playing Rosie Martinez in just her second credited role. Pauly Shore had not yet adopted his “Hey Buddddyyy!” catchphrase when he made his acting debut in 21 Jump Street’s second season (in the same episode as Jason Priestley’s latter appearance). And that’s a good thing. 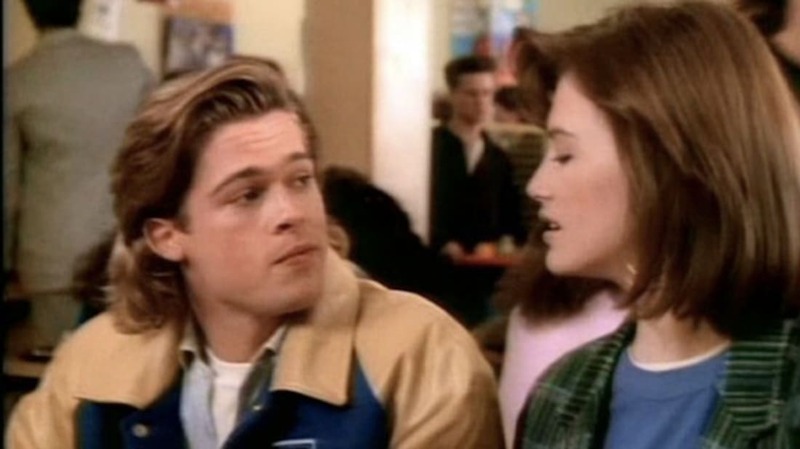 Sherilyn Fenn’s single-episode appearance in 21 Jump Street’s first season shouldn’t really be surprising, since she was engaged to Johnny Depp. The two began dating after meeting on the set of a student film, Dummies, in 1985. But a walk down the aisle wasn’t in the cards; they split up after three and a half years. In the decade before Larenz Tate landed his breakthrough role in Menace II Society, he kicked around with bit parts on a number of sitcoms, including a throwback third season episode of 21 Jump Street in which he plays a younger (and much geekier) version of Captain Fuller. Though she’ll always be best known as Dr. Frasier Crane’s producer/sidekick extraordinaire Roz Doyle, Peri Gilpin’s first real acting job was as the simply named Fitzgerald in 21 Jump Street’s third season. For nearly 25 years, Dann Florek has played the same character—Captain Donald Cragen—on Law & Order and Law & Order: SVU. But he cut his policing teeth on earlier crime procedurals like Hill Street Blues, Hunter, Matlock, and “Brother Hanson & the Miracle of Renner’s Pond,” a 1988 episode of 21 Jump Street.